Over the past couple months, in between and around client sites, parenting, World Breastfeeding Week and the rest of, well, life, I have been secretly cooking up some changes for my own blog. For a while now, I’ve felt like the plumber with a leaky faucet: always working on other people’s websites while my own was left to rust. My old site was one of the first I built, back before I new much about fancy web design and back in my pre-Photoshop days when I did cheater graphics making in Paint. While the site worked, I felt that I had outgrown it and that it was a little too ho-hum for my current tastes. The new site, finally finished enough to publish, is more colorful and fun, and hopefully does a better job of showcasing what my website (and I) is about. Most importantly, it’s definitely a lot more joyful! 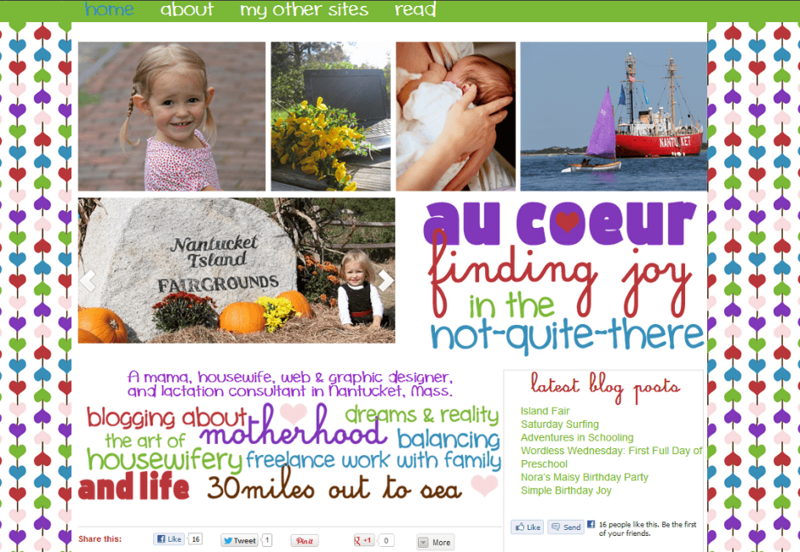 In addition, I did some much-needed content editing and clean up on my “about” and Nantucket pages. For the first time since I created this little blog, I actually updated my “favorite things” page, which now accurately represents the blogs, parenting & food resources, and other things that I love. 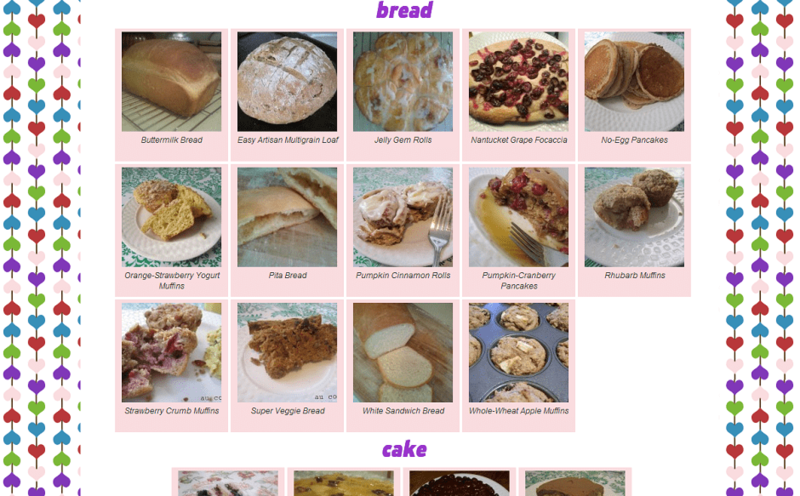 And I finally, finally, finally got around to taking care of my disaster of a recipe page: The index now shows an image for each recipe, and I promise to have an image for my really old recipes (the ones that didn’t transfer over way back when, when I switched to self hosting) up tomorrow night. Going through these, by the way, was a great reminder of just how much my photography abilities have changed in the past two years…and my equipment — the cell phone pictures from fall of 2010 are just miserable. Maybe someday I’ll have time to remake and rephotograph some of these; in the meantime, please don’t judge the recipe by the image! Other changes you’ll notice on the site include a fun “Surprise Me” link which will take you to a random blog post, the ability to post comments using your Facebook or Twitter account, and an updated button for you to link back to my blog on your website. I’m still working on a few little details and I’m expecting there to be some kinks to work out, but in the meantime, please click around the site and let me know what you think!